Natura of Canada Greenspring to Replace a 12 Year Old Simmons Beautyrest Mattress. Home → Latex → Natura of Canada Greenspring to Replace a 12 Year Old Simmons Beautyrest Mattress. 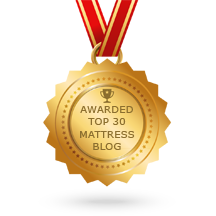 I have learned so much by reading your mattress advice blog as well as other sources of information on your website! My husband and I are in the market for a new mattress and I am hoping you can provide me with some additional insight. We currently have a 12 year old Simmons Beautyrest with a pillow top and it is no longer comfortable. I am 5’3″ 110 lbs and primarily a side/back sleeper. My husband is 6’2″, 175, and also mostly a side/back sleeper. We have visited a local Macy’s and tried out several mattresses as they have one of the largest selections of brands/styles in our area. On our first visit, we tried almost every mattress in the place and thought the Stearns & Foster latex models were the best combination of both comfort and support. What are your thoughts on S&F? Are there any other models you think we sould consider? Body weight is not an issue for the two of you. The reason why your Simmons Beautyrest Pillowtop lasted for 12 years, is doesn’t have any memory foam in it and because of your lighter body weights. Oddly enough, the individually pocketed coil of the Simmons Beautyrest is ideal for you and your husband. The S&F mattresses, also have a pocketed coil. But, the upholstery is, primarily memory foam…which is now true of all the name brands. It will, truly shock you how short lived a S&F mattress is. 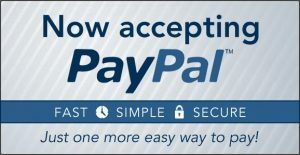 You’re assuming quality based on your previous purchase…quality that no longer exists, now that S&F is owned by Tempurepedic. S&F has gone from being “The Cadillac of the Industry” (a title they held for many decades), to being nothing more than expensive junk…a monumental waste of money. This reduction in quality has been progressed over the last 10 years. The same is true of Simmons Beautyrest…all memory foam upholstery. To keep you in an individually pocketed coil mattress, that has NO memory Foam, I’m suggesting the Natura of Canada Greenspring Plush Eurotop mattress. This model will provide the support and comfort you’ve been used to, and last longer than your current Beautyrest mattress. The coils are stronger and the upholstery is natural latex. Latex is and has been the best, (most comfortable and most durable), upholstery material for the last 100 years.